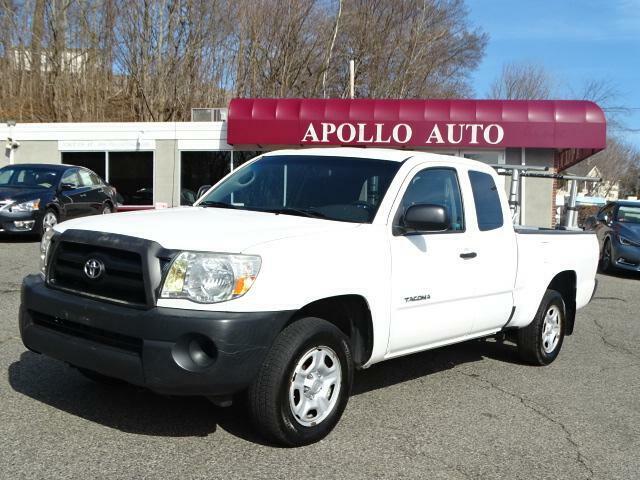 Apollo Auto Sales has a wide selection of exceptional pre-owned vehicles to choose from, including this 2008 Toyota Tacoma. One of the best things about this Toyota Tacoma is that it has low, low mileage. It's ready for you to truly break it in. This vehicle won't last long, take it home today. Driven by many, but adored by more, the Toyota Tacoma is a perfect addition to any home. More information about the 2008 Toyota Tacoma: Competition is tight in the mid-size pickup segment, and Toyota's 2008 Tacoma responds by offering impressive versatility, including the ability to configure a pickup with either on-road or off-road capability in mind. PreRunner versions add a 4x4 look and ride height to a 4x2 drivetrain, and the X-Runners pair a sport-tuned chassis with the 236-horsepower V6 engine. Additionally, Toyota Racing Development (TRD) Off-Road and Sport packages are available on most V6 models to upgrade either trail or pavement performance. Strengths of this model include composite cargo bed., Toyota build quality, and configurable for on- or off-road performance Apollo Auto Sales has been in Business Since 1972. We Specialize in Late Model-Low Mileage-Fully Serviced Vehicles. Apollo Auto Sales practices a Velocity Based Pricing Strategy which provides a Transparent Sales Process and Excellent Overall Customer Experience. Please Call Us to Check Availability and to Schedule your No Hassle-No Obligation Test Drive!! Call 401-728-8998 or Click: www.apolloautosales.com.